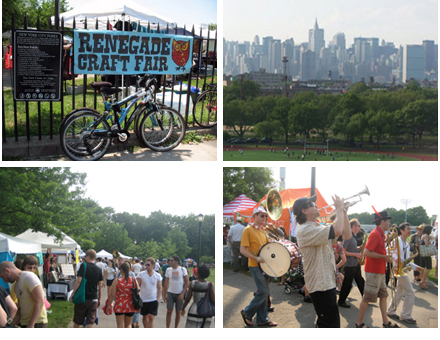 Today is the 6th Annual Renegade Craft Fair in Brooklyn. 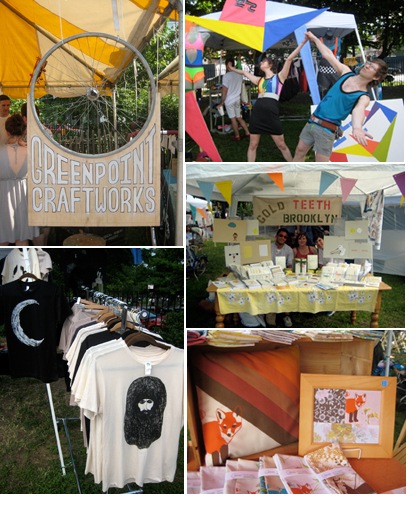 It’s June 5th & 6th from 11am – 7pm in McCarren Park! The fair will go down Rain or Shine! It’s always FREE-TO-ATTEND and it will feature over 300 of today’s finest indie-craft talents from all over the nation plus free workshops, entertainment and other features! You can expect to find all sorts of incredible handmade goods at the Fair. Last year I bought many unique pieces, from bags, clothing, jewelry and stuff animals! Directions: Take the L Train to Bedford Ave. in Brooklyn. 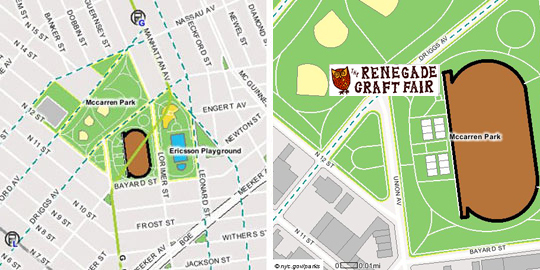 Walk north on Bedford to N. 12th St. and hang a right into McCarren Park. Vendors will be set-up along the walkways around part of the softball field area as well as the entire track + field area. Take the G Train to Nassau Avenue. Walk South two blocks to Lorimer Street and take a left on Lorimer Street. Walk 1 block and McCarren Park will be on your right at Driggs Ave.